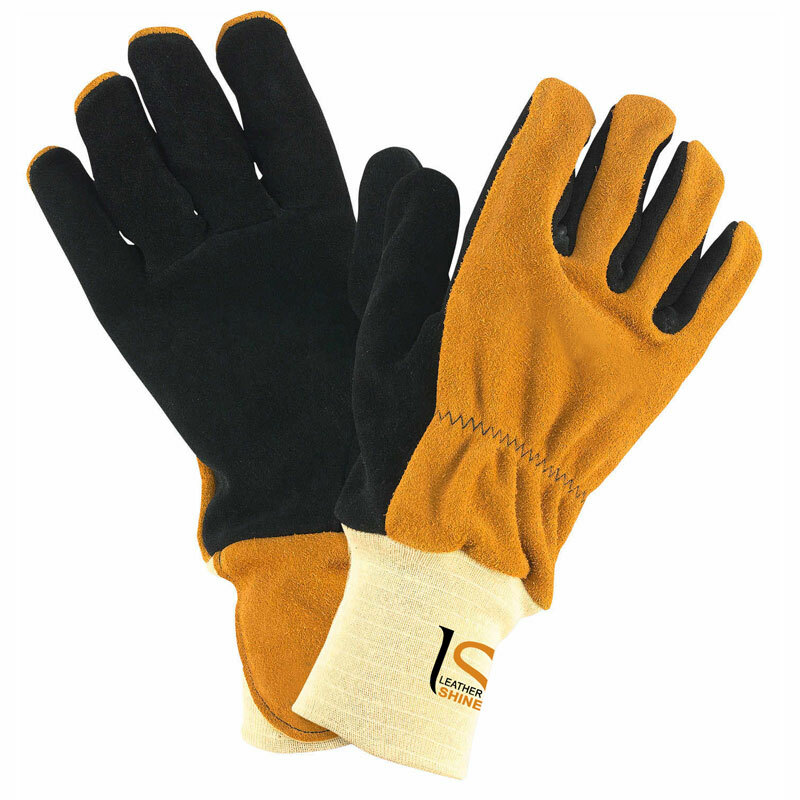 Eversoft cowhide leather on the palm and back resists flames, heat, cuts, and punctures. In addition, the leather stays soft even after repeatedly being wet. The combination of an elasticized back and a 4”L black Nomex wristlet ensures a close fit to prevent embers or sharp debris from entering the glove. The cuff extends beyond the wrist crease for extra flame and heat protection. Welts sewn into the middle and ring fingers and the thumb offer added seam strength. Gloves meet NFPA 1977 Standard on Protective Work Clothing and Equipment for Wildland Firefighting, 2016 Edition. Made in USA.